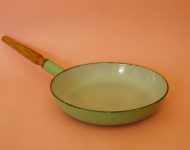 A while back I bought two very sweet enamel kettles that I could have sworn were Finel, but I just couldn’t find the Finel makers stamp – until a young girl picked one up, looked underneath, and pointed it out to me – there it was! 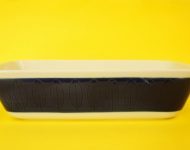 Turns out I’m old and a bit blind! 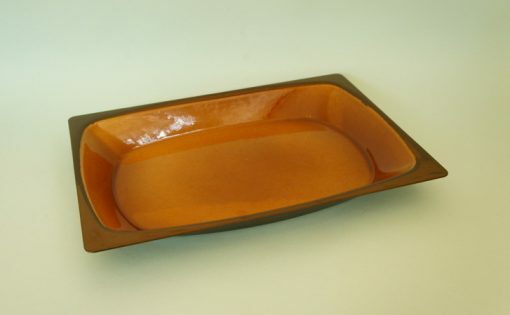 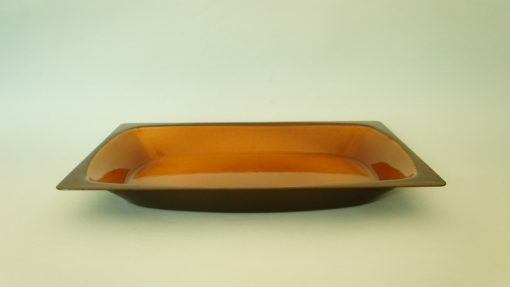 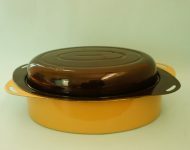 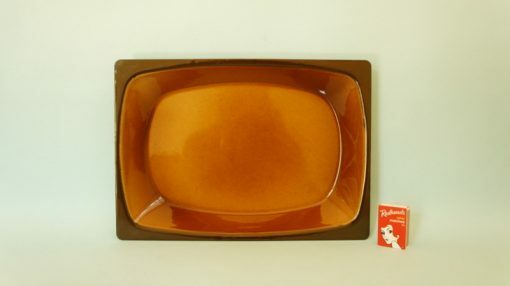 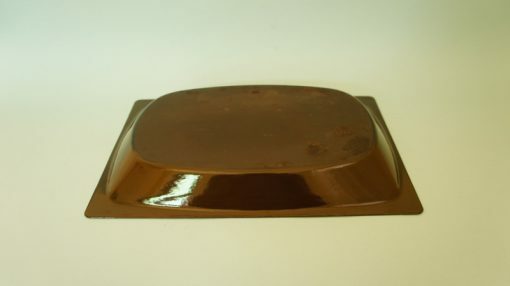 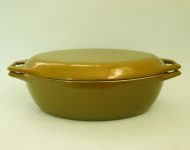 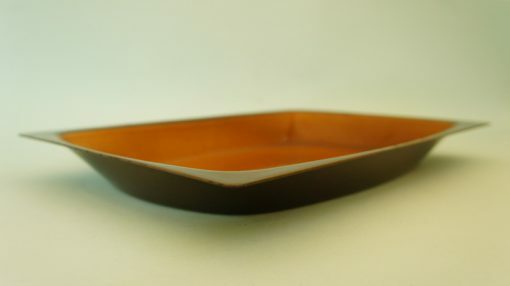 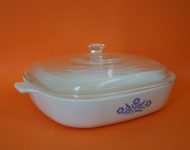 So when I bought this fantastic enamel oven dish and looked at the finish (same super skinny enamel, same matte finish on base), and couldn’t find the Finel stamp, I took it into the light for a second look, but sadly I still can’t find a maker’s mark, but once again I could swear this is a piece of Finel enamelware! 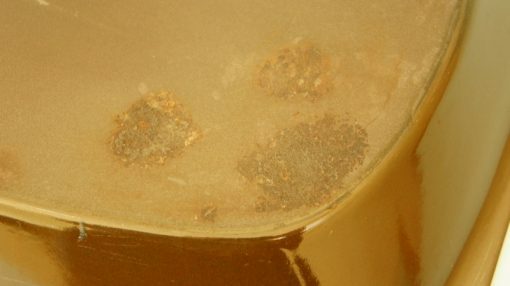 I might be wrong (although I really don’t think I am! 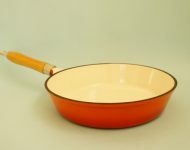 ), but even if it was produced by another company, it’s still a really great quality (and rather handsome!) 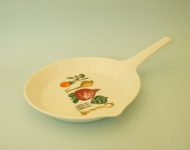 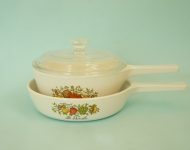 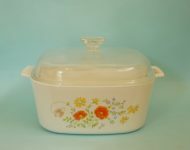 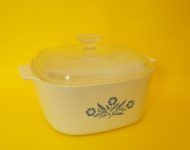 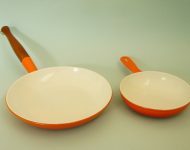 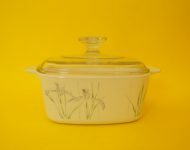 piece of enamelware in excellent condition – there’s a bit of wear to the underside of the pan, but really who’s going to see that when they’re admiring your tasty potato bake!